If he were still alive, one need only ask John Dillinger's doppelganger, a poor fellow by the name of Ralph Alsman. Dillinger and Alsman shared an incredible physical resemblance, including similar moles next to one eye and matching scars on their left wrists. Thanks to their mirror images, Alsman was arrested 17 times -- and shot 11 times! Although he was released after each arrest, he endured repeated interrogations and lived in constant fear that he would eventually be killed. Dillinger was fatally shot on July 22, 1934, ending Alsman's horror story of the absurd. 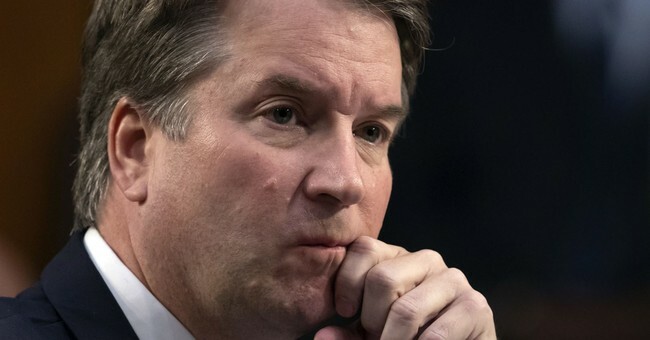 "I understand that I have been identified by Dr. Christine Blasey Ford as the person she remembers as 'PJ' who supposedly was present at the party she described in her statements to the Washington Post," Smyth says in his statement to the Senate Judiciary Committee, CNN reported. "I am issuing this statement today to make it clear to all involved that I have no knowledge of the party in question; nor do I have any knowledge of the allegations of improper conduct she has leveled against Brett Kavanaugh."